Follow Me New York City Adventures has two new walking tours in the Bronx centered around delicious bites. 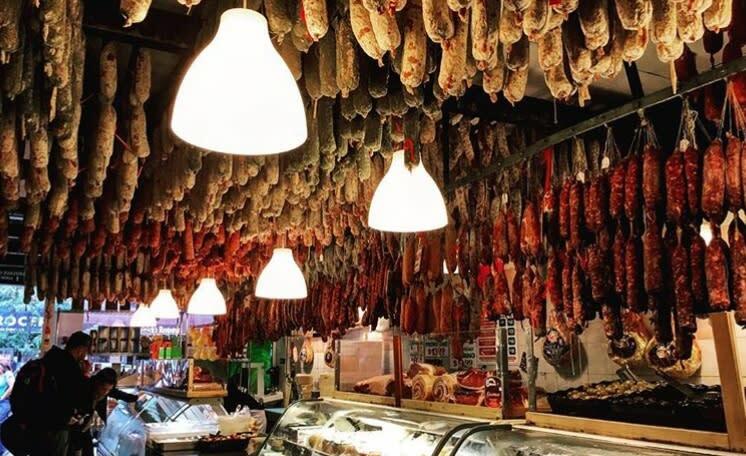 The Arthur Avenue Adventure includes samples of meats, cheeses, seafood and baked goods, and gives a “crash course” on how Italian immigration shaped New York City. The Food and Faith Adventure incorporates these same elements with neighborhood houses of worship. 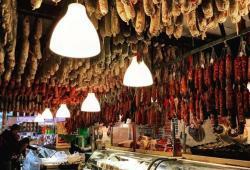 Shop for authentic culinary delights on Inside Out Tours’ Bronx’s Little Italy & Arthur Avenue Shopping Tour. Learn about the rich history and cultural heritage of Belmont, home to generations of Italian-American families. Join Bronx resident and food aficionado Susan Birnbaum on a SusanSez NYC Walkabouts tour to see the neighborhood like a local. Susan’s Little Italy on Arthur Avenue tour takes you to some of her favorite spots for fresh pasta, mozzarella and cannoli. Play ball and eat game-day classics in the greatest sports city in the world. Pair a Yankees Stadium Tour with ballgame fare and new dining options. On A Slice of Brooklyn Pizza Tour, cover Brooklyn and pizza from end to end via bus, stopping at iconic landmarks and movie locations. The tour company’s latest is the Chocolate Bus Tour of Brooklyn, which features chocolatiers in the lesser-known neighborhoods of Red Hook, Cobble Hill and Gowanus. Learn how chocolate is made, sample traditional and artisanal chocolates and visit Valentino Pier for a view of the Statue Liberty. Visit four of Williamsburg’s hottest restaurants and enjoy a four-course progressive meal on Avital Tours’ Williamsburg Food Tour, all while learning about the neighborhood’s culinary history, important places and must-eat dishes. Why not get some exercise while you taste local delicacies and take in the vibe of the borough? Dine on pizza, dessert or a combination of both on one of Brooklyn Bike Tours’ offerings. Enjoy Brooklyn’s burgeoning craft beer scene on a City Brew Tour. 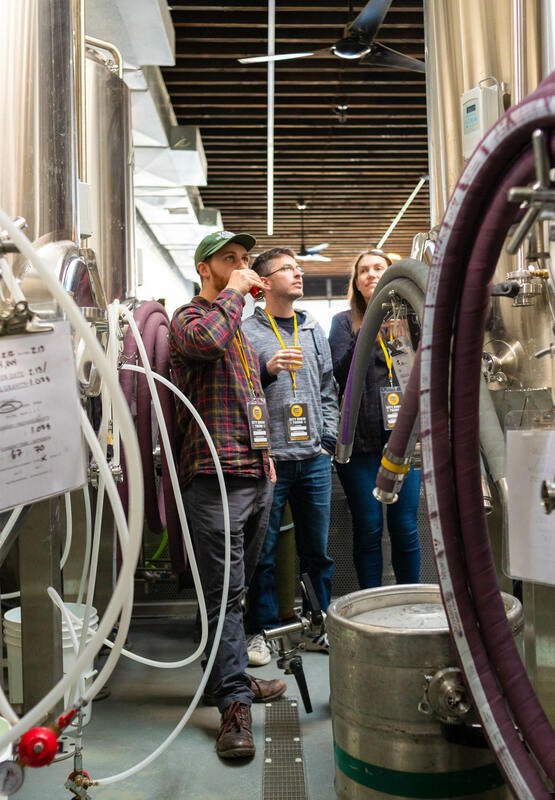 Meet brewers, get VIP behind-the-scenes tours and enjoy 12+ brew samples paired with gourmet food throughout the borough. Explore three different neighborhoods of Brooklyn during a Literary Pub Crawl Brooklyn, focusing on history, literature and, of course, drinking! Dine in true luxury on City Chic Experiences’ Signature Culinary Experience. This curated culinary tour features notable Michelin-starred dining establishments throughout Manhattan. 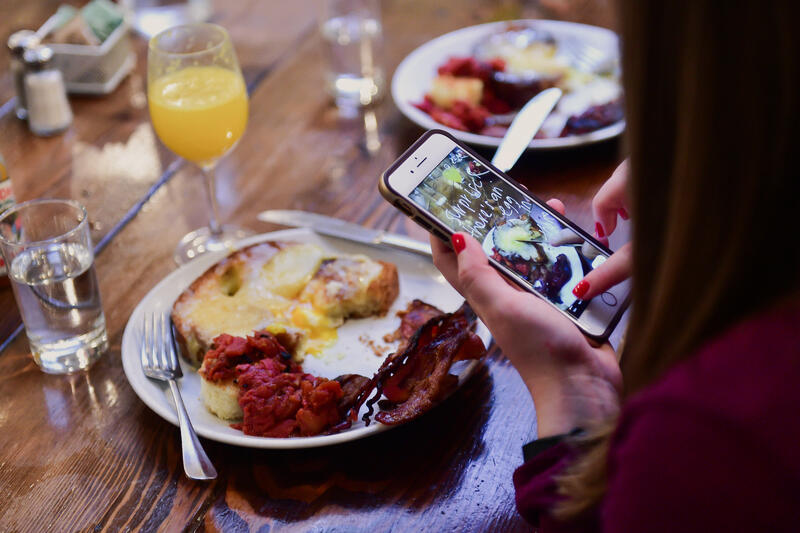 On Like A Local’s Flatiron Food, History & Architecture Tour, see two of New York City’s most iconic and picturesque neighborhoods, Flatiron District and Union Square, and explore classic restaurants and hidden gems. Experience Harlem like a local, enjoying soul food and the cuisines of the Caribbean, Africa and Italy on a Taste Harlem Food and Cultural Tours. Learn to appreciate New York City’s authentic street food on Turnstile Tours’ Food Cart Tour. Enjoy bites from some of the City’s best food carts and trucks while learning about Midtown Manhattan or the Financial District. Celebrate the Year of Pride on Urban Adventures’ LGBTQ+ History, Neighborhood and Pub Tour of Greenwich Village. Have a drink at Julius’, the oldest gay bar in New York City, visit the historic Stonewall Inn and cool down with an ice cream covered in rainbow sprinkles at Big Gay Ice Cream. With three different Culinary Walks in Queens, there’s something for everyone on a Culinary Backstreets tour. A full Sichuan banquet in Flushing, food trucks in Corona, the Queens Night Market and a Thai grocery store/community center in Elmhurst are just a few of the options. On Food On Foot Tours’ International Express Food Tour of Queens, delight your taste buds in New York City’s most diverse borough. 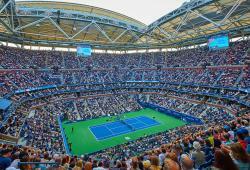 Along with food stops, your guide will give you a subway look of famous TV, movie and sports landmarks. From traditional Greek to Brazilian, Venezuelan and Balkan food, the Noshwalks Astoria Tour unearths both the classic and lesser-known cuisines of Astoria. Groups will also stop to see the Museum of the Moving Image and Kaufman Studios along the way. Cititrek offers a variety of Staten Island tours, including two culinary adventures. The Taste of Diversity Tour of Victory Boulevard takes visitors through Tompkinsville to discover Albanian, Sri Lankan, Ecuadoran, Caribbean and African shops and restaurants. 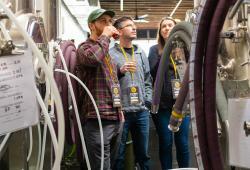 The Pub Crawl Tour of St. George by the Ferry features brewery tours, samples, wine and appetizers in St. George close to the ferry. Afterward, take a ride on the free Staten Island Ferry. Noshwalks Staten Island Tour includes a diverse offering of food and culture in Tompkinsville. See and taste the area’s rich history, shops and cuisine from Jamaica, Poland, Honduras and Nigeria. To learn more about New York City tours, visit nycgo.com/tours. For images corresponding to this story idea, visit the NYC Food Tours Library. By downloading these Media Assets, you are agreeing to the following terms: NYC & Company is granting you permission for press use only. Any use of the provided Media Assets, in whole or in part, other than for PRESS purposes, is prohibited (including, but not limited to, copying, distribution or sale of these Media Assets). 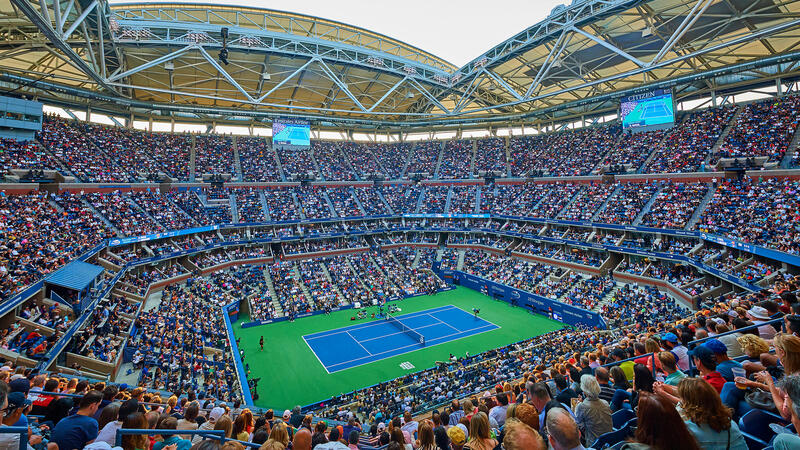 Please note that the Media Assets must not be used for commercial purposes or rebranded in any way without explicit permission from NYC & Company. NYC & Company is providing this to you without any representations as to rights and clearances with regard to 3rd party rights. All imagery should be credited to photographer indicated in file name.